In many regards, Israel is a new-world country for wine, even very new if we consider the push for serious wines that was made possible by the boutique-wineries phenomenon beginning in the early 2000s'. But when you see these ancient foot-stumping presses dug in the rock table like the one on the picture above, you realize also that Israel may be the forgotten old-world grandpa of winemaking. 2500 years ago, some say 3000 or 4000 years ago, jews and locals were dinking wine very commonly, this beverage was probably safer than water at the time, and the bible has beautiful praising words for the intoxicating beverage without any prohibition trait whatsoever. The Romans then came and took part to the game, buying wine here and having it shipped back home in amphorae by the Phoenicians, along maybe baby vines to plant other vineyards across the Empire. This old wine culture was then obliterated when the arab tribes invaded the area and imposed by force their new religion, destroying everything related to wine and vineyards. From then on, what is now called Israel went through a no-wine dark age that last several centuries, until new vineyards were planted again in 1882 by Baron de Rotschild. A century later, another revolution took place with a huge quality leap and we are awakaning to the idea that this country is indeed suited to make great wines, thanks to unique microclimates and soils, and the passion of entrepreneuring individuals. Here is another page (in Russian) about similar ancient remains of wineries in Israel. My first wine stop in Israel was really Mikes Place [picture on right], a music bar right in front of the beach in the center of the city. This bar which has often live music from 10:30 in the evening is a traditional hot spot of Tel Aviv, something like a pub with an American flavor, wooden floor, casual, and wine among the many drinks served here, beer being the favorite. A lively and very international place like much of Tel Aviv, and that was probably why it was bombed several years ago. You don't subdue Telavivians like that and the bar was soon after as alive as ever, there's just some checking of the bags at the door now. 9pm, no live music yet. Rock & Roll on tape and quite full already, lots of regulars, friends hugging on arrival. A couple improvises a dance on the side near the empty music stage. I'm beginning to learn about Tel Aviv : lesson one, bars are for dancing in addition to drinking in this town, and dancing bars attract crowds every night, except saturday. The city that never sleeps is the official motto of Tel Aviv but that is incredibly true, just listen outside if you awake at 3am the traffic of revelers going back home after a hot night. This 3am street trafic, you'll never find it saturday, these bars are closed on sabbath. Another relaxed yuppie neighborhood with restaurants & bars with a clientèle of middle-class twentiers or early thirtiers. It is located near the intersection of Rehov [street] David Florentin & David Vital. This is a residential neighborhood with a few convenience stores, the sidewalk smells a bit like often in Tel Aviv (water is scarce I guess) but this area of small streets is quiet and at the same time convivial? It is also out of the beaten path. Unlike Rehov Shenkin, another place dotted with small eateries and cafés with fancy fashion shops, Florentin (this is also the name of a neighborhood) still has an authentic something in the air, maybe because much of the neigborhood remains lower middle-class. Small family restaurants are a wonderful way to try one of the several cuisines found in Israel. Here with Zeev, Wineterroirs' special Mossad operative ;-) thanks to whom I went to discover several Israeli wineries, I had the chance to have lunch in a simple restaurant serving Lybian cuisine. The restaurant which was set up by Jewish immigrants who fled Lybia in the second half of the 20th century serves a cuisine that is called here Tripolitanian, meaning from Tripoli. This is a variant from North African cuisine with of course the Couscous and the emblematic Tchurchy found all over Lybia (I'm discovering too). The restaurant name comes after the family name of these people : Nissim (phone : 09 899 5536). On their business card you can read in hebrew "Tripolitanian dishes, daily changes" and also "Schnitzel baguette", a fast dish commonly made throughout Israel with ingredients like chicken, flour and eggs. Local people come to the Nissim restaurant to eat there or take away. We couldn't finish all these tiny salad plates served with the couscous and the meat. Cost per person was 35 Shekels or about 6,5 Euro. A steal, believe me. With that we took a Goldstar dark beer, this brand being considered the best value here. Good choice for the pairing on a hot may day. In the wine section of a Russian supermarketYou know that Israel has a rather large Russian community. They brought with them lots of their former culture, a generally high level of education and dietar y habits. Most being secularized for a long time in their former soviet motherland, they used to eat pork products like sausage and salami which are very common in Russia and its sister former soviet republics. These products were all absent on the Israeli market when they arrived en masse here in the late 1970s' early 1980s'. Since then, a chain of supermarkets named Tiv Ta'am (literally best of taste in hebrew) appeared to satisfy their needs. And the Russians have become an important part of the population in Israel, some say even the last election results have a lot to do with their new weight. When you stroll in the streets of Tel Aviv, Russian is by far the first language after hebrew that you will hear around you, I have often the feel that it's even in front of hebrew sometimes. The other languages being English and French, it makes this city even more familiar and friendly to me. In a Jiv Ta'am, this little Russia where all employees are Russian born, or born from Russian natives, you will find many products from the motherland and from the former soviet republics, even a selection of mineralnie vode (mineral water). The wine section is well sized in this supermarket and in addition to a wide selection from Israel and from the rest of the world, it has quite a few sparkling wines from the former Soviet Union states, including my favorite Sovietskoie Champanskoie for 40 Shekels (18 only for supermarket-card holders), this Soviet Champagne is made in Moldova (in the USSR times, this bubbly was made all over the country), in white semi-sweet and red semi-sweet. They had another sparkling from Ukraine named Odessa, 2 bottles costing 55 Shekels. Also a Krim at 54 Sh. I spot another one, named Sovietskoie Igriskoie, made in Odessa, Ukraine and priced at 34 Sh. They also have an Artymiosk (Ukraine) which I wanted to buy but we wandered further in the store and I forgot. The good value in Israel for sparklings according to Zeev is the Spanish Christalino by Jaume Serra, they had this one too, priced here at 40 Shekels. Cheese shop in the Carmel marketIn the background of the surprising Israeli wine scene, there is another unspected field where Israel made inroads and has the potential and the will for more : the cheese. I have come across several Israeli cheeses during several wine tastings here and I wish I had more time to explore this product. The soft, creamy cheese in particular is delicious; you can find cheese stalls in every market in Tel Aviv, and like the sausage and salami stands they are often managed by Russians. The one on the picture above is located on Carmel market, it is on the left hand when you go down the main alley from Rehov Allenby. Prices are reasonable and close to those seen in France. This cheese shop is probably Kosher. The guy gesturing in the background is not expressing anger at my picturing him, on the contrary he was joking and saying "don't take the cheese in picture, take me !...." Caught by the contagion of quality instigated by the Golan Heights winery in the mid 80s' and by the boutique-wineries revolution in the early 2000s', Carmel is now in the process of improving the quality of its wines, but many doubt it will decisively lead up to wines on pair with the best of the local market. 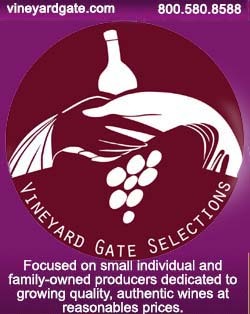 Clos de Gat Ayallon Valley, Judean hills (Cabernet Sauvignon, Merlot and Petit Verdot), 200 Sh. for the 2004 and 159 for the 2005. Clos de Gat Judean Hills Sycra (Aramaic for “red”, either Syrah or Merlot here) 2006, at 230 Sh. Clos de Gat Chanson (white) 2008, blend of Chardonnay, Semillon, Viognier, Chenin Blanc at 80 Sh. They have a wide range of wines from Yatir, one of the best wineries in Israel. I spot a Tzora rosé 2007 single vineyard at 70 Shekels. Tzora Misty Hills 2006 (red) at 170 Sh., Chablis Grand Cru Bougros, Domaine Willian Fèvre 2005 at 200 Sh, also a magnum of Chateauneuf du Pape, Domaine Vieille Julienne 2001 at 424 Sh. (prices slashed from 500 Sh.). Gevrey-Chambertin Domaine Arlaud 1er Cru Aux Combottes 2004 at 200 Sh. (down from 350 Sh.). Domaine Dujac Morey Saint Denis 2004 (red) at 200 Sh. (down from 250 Sh.). Chassagne Montrachet (white) Louis Jadot 2000 at 200 Sh. (down from 269). Back to Israel : Pelter Cabernet/Syrah 2006 at 95 Sh, Pelter Trio 2007 (Cabernet/Merlot/Cabernet Franc) at 85 Sh., Pelter Shiraz 2006 at 179 Sh., Pelter Gewürztraminer 2008 at 75 Sh., Pelter Sauvignon Blanc 2008 (in an absolutely colorless glass bottle) at 65 Sh., Pelter unwooded Chardonnay 2008 at 60 Sh., Chateau Golan Royal Reserve Eliad 2006 (red) 150 Sh., Chateau Golan Cab. Sauv. 2006 at 110 Sh., Chateau Golan Merlot 2006 at 139 Sh., Chateau Golan Syrah 2004 at 200 Sh. Margalit Merlot Kadita 2004 single vineyard at 200 Sh., Margalit Cabernet Franc (plus 5% C.S.) single vineyard Byniamina at 200 Sh., Tabor winery, a white at 54 Sh., several reds at the same price. Dalton Rosé 2008 at 40 Sh., Dalton Merlot Upper Galilee 2007 at 55 Sh., Dalton Cabernet Sauvignon 2008 Upper Galilee Canaan at 45 Sh., Dalton Fumé Blanc 2007 oak aged at 40 Sh. (a very good value wine, says Zeev). Yarden Katzrin Chardonnay 2005 at 90 Sh. (one of the best Israeli Chardonnays), Yarden Viognier 2006 at 60 Sh., They have a wide choice of Galil wines : Galil Mountain Avivim 2004 (red) at 75 Sh., Galil Yiron 2005 (red blend) at 85 Sh., Galil Mountain Merlot 2007 at 38 Sh., a relatively dark Galil rosé 2005 at 35 Sh. Several Vitkin wines : Vitkin Riesling 2007 at 70 Sh., Vitkin Pinot Noir 2007 at 80 Sh., and other ones. Theyb have all the range of the flam winery, Flam Classico 2007 at 72 Sh., Flam Syrah-C.S. 2007 at 99 Sh., Flam Merlot 2005 at 150 Sh., Flam Sauvignon Blanc/Chardonnay 2008 unoaked at 70 Sh. All the Castel wines, and Saslove too. Zeev points to a good deal interms of quality/price, with an offer of Mondavi Woodridge 2007 wines at 100 Shekels for 3 bottles (Zinfandel, Chardonnay, C.S.). I have noted may other wine prices, but this gives already an idea of the level of prices for good Isreali wines here.www.wineroute.co.ilAdress of this particular shop :Hachashmonaim 93, Tel AvivPhone : 03 561 9263Fax : 03 561 9251wr1993 [at] gmail [dot] com You're in Tel Aviv, don't expect to sleep much...To describe Tel Aviv in a few seconds,it is a relatively modern city with some very recent constructions and high rises, a nice collection of Bauhaus buildings plus many dusty blocks built hastily in the 1940s' and 1950s' I guess. While not a beautiful city per se, it has the charm of a laid-back middle-eastern city, a beautiful white-sand beach, plus the unique multicultural feel brought by Central Europeans who fled here before and after WW2, Russians, Americans, French, and the jews who were expelled from their native countries across the arab world. You see living side by side jews, religious or secular, christian arabs, muslims, plus some new age followers and unrepentant hippies. I harbor the idea that if the same diversity had been imitated by the capitals of the neighboring countries, peace would have certainly been achieved long ago in the region. Speaking of peace (and war), look at this bus driver on the right : This guy is a hero, like all of Tel Aviv bus drivers who kept driving around when a few years ago buses, discos, restaurants, and buses again, were being blown up. But one thing is sure about Tel Aviv, young people here love to go out and dance in clubs and bars, and not only on friday evening (which is the equivalent here of our saturday evening), but on all the Israeli weekdays. Just awake at 3am and listen to the traffic of cars outside, this is when people leave the clubs and bars and go home (or elsewhere...). For me, the best time to see Tel Aviv is when the sun goes down. Then, the light breeze on the boulevards brings a respite from the day's heat, and the uneven lighting puts an interesting aura on the town, making the strange trees on the sidewalk look even more strange. Some of them have long hair falling along the trunk as if they tried to catch humidity. I had no idea which type of tree they were but Zeev told me most are Ficus Microcarca, a tree close to Sycamore tree and fig tree.